King Salman was proclaimed the seventh King of the Kingdom of Saudi Arabia on January 23rd upon the death of his broth King Abdullah bin Abdulaziz. King Salman bin Abdulaziz Al Saud is the King of Saudi Arabia and Custodian of the Two Holy Mosques. Prior to his appointment to throne he served as the Deputy Governor and then the Governor of Riyadh between 1963 and 2011. In 2011 he was appointed as defence minister and later named as Crown Prince following the death of his brother Prince Nayef. Salman was crowned on 23 January 2015 following the death of his elder brother, King Abdullah. King Salman was born on 31 December 1935 and is one of the legendary Sudairi seven; a powerful alliance of seven full brothers within the House of Saud. Salman was educated at the Princes’ School in the Saudi capital city of Riyadh, a school established specifically to provide education to Saudi Princes by Ibn Saud, his father. There he studied religion and modern sciences. The education provided formed the foundation of his future career as a national leader. 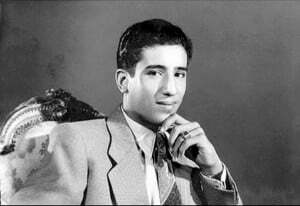 At the tender age of 19 Salman was appointed as the Deputy Governor of the Riyadh Province in 1954. An appointment that lasted just one year but provided him a glimpse into the country’s political system and established him as a leader. The young Prince was appointed as the Governor of Riyadh on 4 February 1963. A tenure that lasted for forty-eight years. During his appointment he contributed to the development of Riyadh into a major urban metropolis of economic prosperity and social development. His modern outlook and western connections allowed him to develop tourism in the city and attract foreign investment. During his five decades tenure as Riyadh governor, gained mastery of the skill of delegation with regard political responsibility; managing the delicate balance of clerical, tribal, and princely interests when determine Saudi policy. On 5 November 2011 Salman was appointed as both Second Deputy Prime Minister and Minister of Defence. His position as Governor of Riyadh was reassigned to Prince Sattam bin Abdulaziz. Prince Salman was also named as a member of the National Security Council following his appointment. On 18 June 2012, Salman was appointed Crown Prince and also First deputy prime minister. Appointment as crown prince and deputy prime minister was considered to be a signal that King Abdullah’s conservative reforms were likely to remain. Salman focused mainly on economic improvement rather than political change. On 23 January 2015, aged 79, Salman was crowned King. The newly appointed King Salman issued the statement “His Highness Salman bin Abdulaziz Al Saud and all members of the family and the nation mourn Custodian of the Two Holy Mosques King Abdullah bin Abdulaziz, who passed away at exactly 1am this morning.” He appointed Prince Muqrin as the Crown Prince. Among the first things King Salman and his son did, was to streamline governmental structure with the intention of developing a versatile and dynamic government. All of the eleven Saudi secretariats, established by the former king, were abolished and reconstituted as only two; the Council of Political and Security Affairs (CPSA), lead by Deputy Crown prince Mohammed bin Nayef, and the Council for Economic and Development Affairs (CEDA), lead by the Secretary General of the royal Court Prince Mohammad bin Salman. Both Princes were given free reign to completely restructure the government. February 2015 saw the calculation of the king’s post-coronation giveaway would cost on excess of $32 billion. Within such generous donations included grants to professional associations, literary and sports clubs; infrastructure investments in water and electricity; and bonuses worth two months of salary to government employees, soldiers, pensioners and students on government stipends both home and abroad. 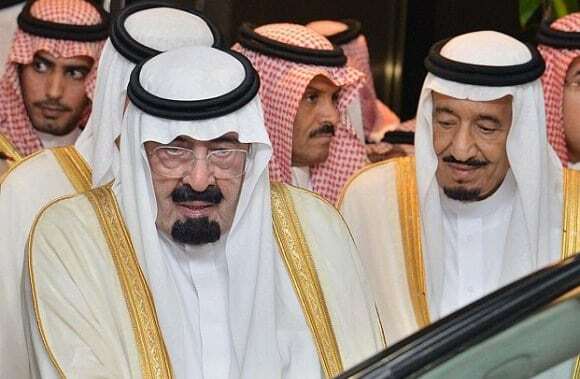 In a later reshuffle to the cabinet, King Salman appointed Mohammed bin Nayef as Crown Prince, and his son Mohammed as the Deputy Crown Prince. The Princes attended in President Obama’s Camp David summit in May 2015 as representatives of the King, as the latter was unable to attend due to domestic engagements. King Salman married three times. First to Sultana bint Turki Al Sudairi, who died in July 2011. She was a daughter of Salman’s uncle, Turki bin Ahmad Al Sudairi, a former governor of the Asir Province. Sultana Al Sudairi supported the Prince Fahd bin Salman Charitable Society and other charitable organizations in Saudi Arabia. Both the Kings two eldest sons, Prince Fahd bin Salman and Prince Ahmad bin Salman, died of heart conditions, in 2001 and 2002 respectively. His son, Prince Sultan bin Salman became the first person of royal ancestry, Arab and Muslim to ever fly in outer space. The Prince flew aboard the Space Shuttle Discovery [STS-51-G] in June 1985; a notable achievement in the history of the Kingdom. He now presides as the chairman of the Saudi Commission for Tourism & Antiquities. Prince Abdulaziz bin Salman has been the deputy minister of oil and Prince Faisal bin Salman is the governor of Madinah. From his second marriage to Sarah bint Faisal Al Subai’ai the King fathered Prince Saud. From his third marriage with Fahda bint Falah bin Sultan Al Hithalayn came Prince Mohammed, Prince Turki, Prince Khalid, Prince Nayif, Prince Bandar and Prince Rakan. Questions have been raised about the health and ability of King Salman bin Abdulaziz Al Saud. Regarding the King’s health, Simon Henderson, an authority on Saudi Arabia at the Washington Institute for Near East Policy, stated that “He can perform quite well for a few minutes, but then he gets muddled and goes off message”.